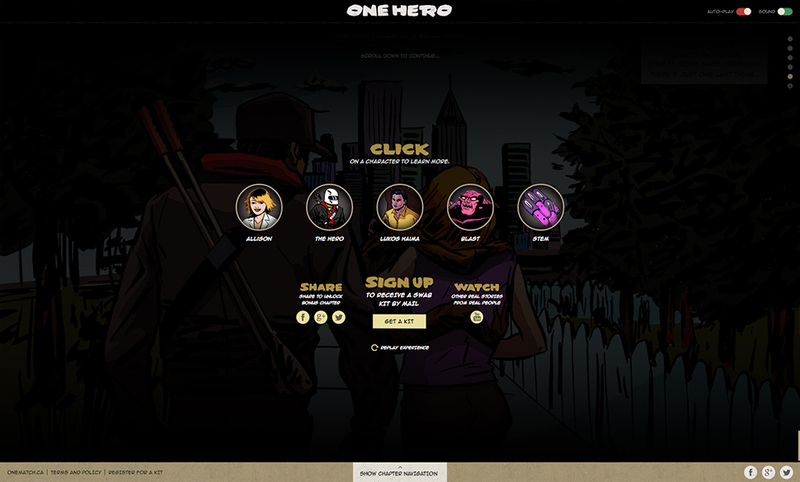 One Hero is an online interactive comic book experience that pits the user against a madman that has released a virus and is creating an infected army. The story mirrors the real life experience of a victim who needs a stem cell donor. As the user progresses through the experience, they inch closer to the revelation that sometimes there's a thin line between fact and fiction.